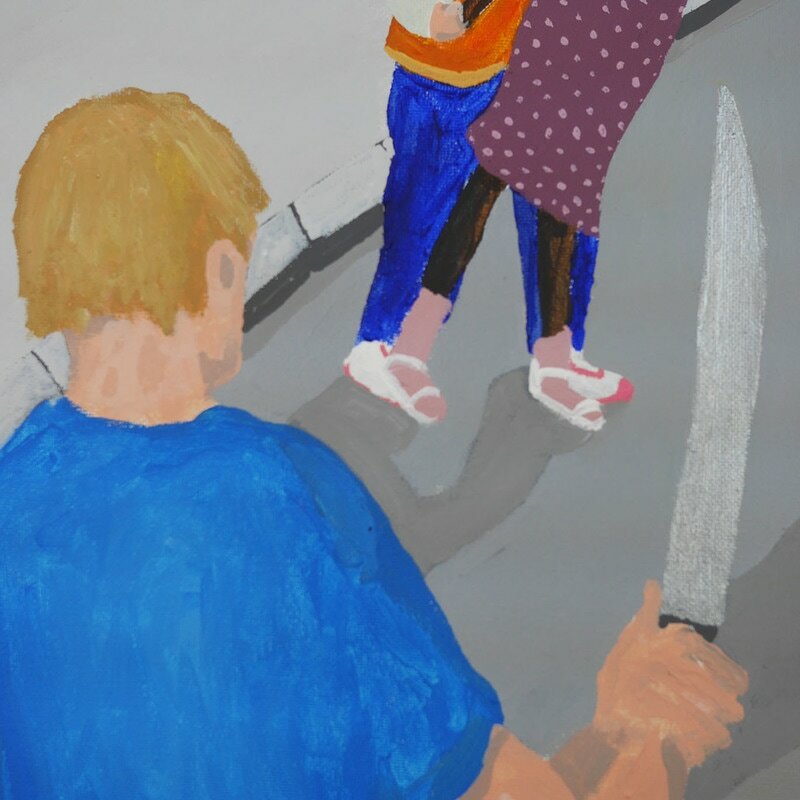 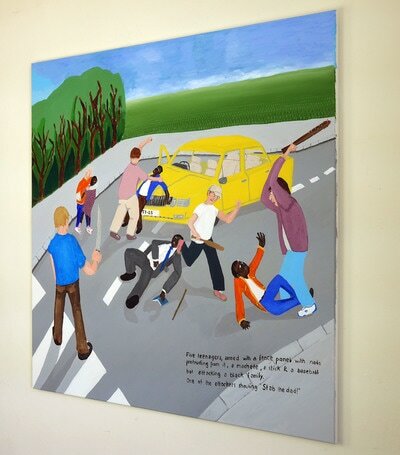 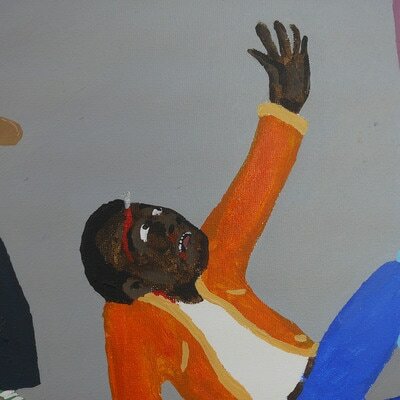 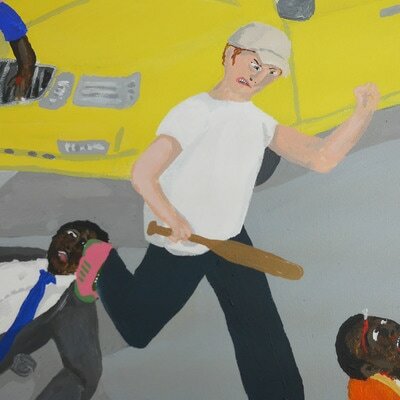 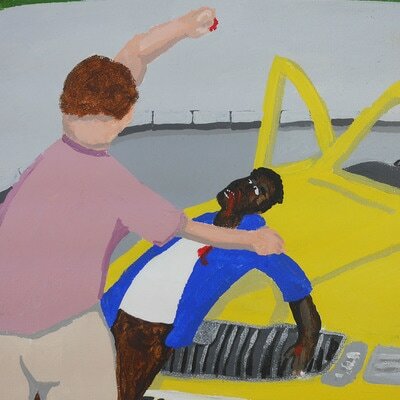 Bad Painting 46: Five teenagers, armed with a fence panel with nails protruding from it, a machete, a stick & a baseball bat attacking a black family. One of the attackers shouting "Stab the dad!" BAD PAINTING is a series of paintings that Jay Rechsteiner categorizes as Bad Realism which is work that is bad in terms of style, craftsmanship & content. 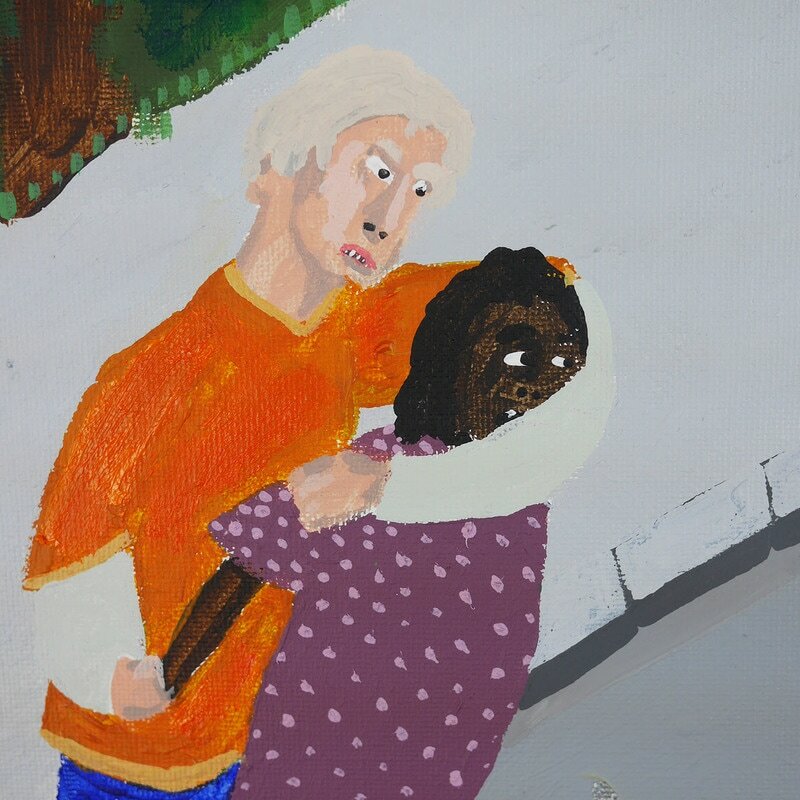 The badly executed paintings represent the underlying bad reality of the actions depicted. 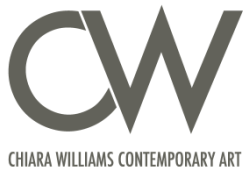 The work challenges the Western sense of beauty, perfectionism and fear of failure. 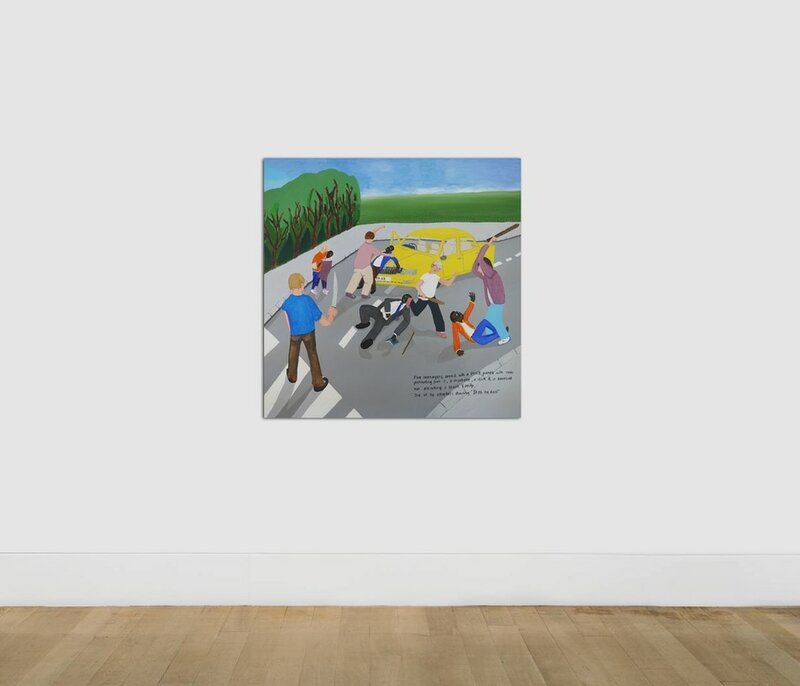 Rooms are distorted, bodies are out of proportion, shadows fall into the wrong direction etc.